I've only painted a little, but most of that will have to wait for the OWAC blog first. When I'm done with this months entry, of course. Did some travelling for work. This weekend we had Snowpocalypse 2019. I had already decided to spend some time painting, though it wasn't going to be for the OWAC. A friend from the Warhammer-Empire forum passed away this week. He had a saying, quoted in another forum member's signature, "... my old suggestion is forget it, take two aspirins and go paint." So I figured I'd set aside some time to do a bit of that in Steve's memory. I never met Steve ("steveb" on the forum) in person, but have known him for years via the forum. His miniatures collection is legendary. It's huge, but anyone with enough money can buy miniatures. What's inspirational about him, and his collection, is his creativity and wit. He painted a lot of figures. A LOT. Many were converted and when he shared photos of his creations, they were often accompanied by a few comments about their backstory or a humorous fictional anecdote. His passion for the hobby is what was truly the stuff of legends. A consistently wonderful and pleasant person to engage with, he will be sorely missed. So my goal was to paint a suitable Empire(ish) miniature, so I selected Marco Colombo. 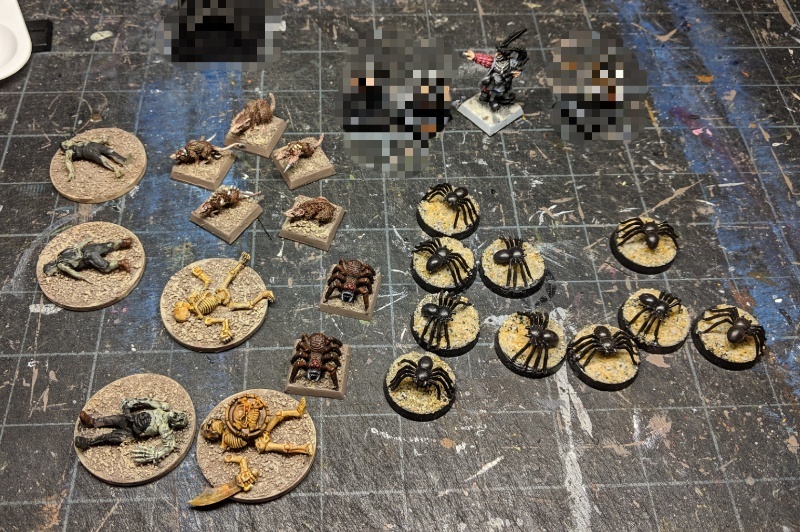 I only got part way finished, between waiting for paint to dry and getting distracted trying to fill that waiting time by prepping some markers and minis for Rangers of Shadow Deep (more on that later.) Most of these were old, half-painted things dredged up for service. The obscured minis are top secret stuff for the OWAC. I painted this miniature for Steve years ago, as part of the Pleasant Surprises miniature trade the forum members used to do every year. When I drew his name I panicked -- what to get the man who not only has everything, but has created a bunch of unique new kitbashes and conversions that the rest of us couldn't even dream of? So I tried to paint something unique. 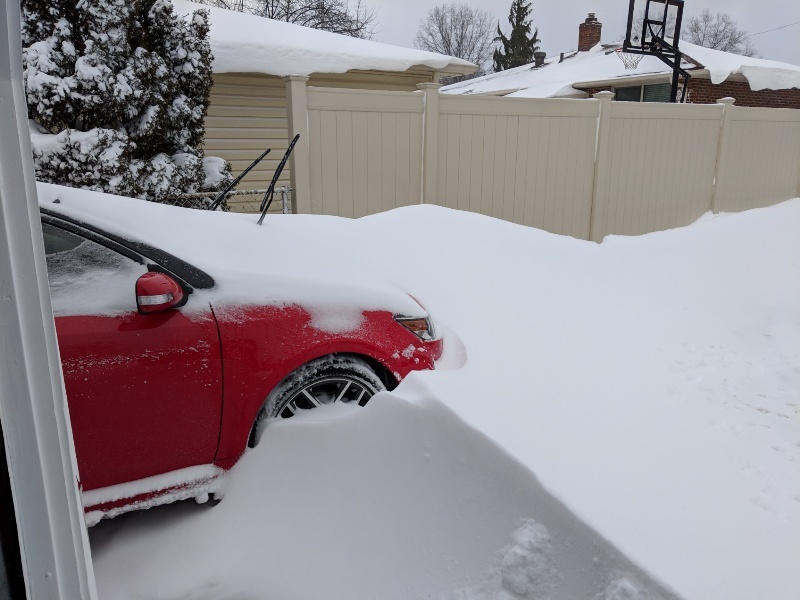 I had hoped to finish painting the Marco mini today, but that plan was derailed by the need to dig out my car so I can make it to work in the morning. But I feel good -- I still got time to paint in Steve's memory. Damn snow totally missed us, but it was cold and windy so stayed in and painted all weekend as well. Weather weekends are the best for getting hobby time. That is... quite a bit of snow.